I will agree with Amir Taheri’s assertion in a column in the New York Post that the Obama Administration should receive no credit for the Arab Spring, but he overlooks giving credit to the Administration deserving of much of the credit for creating the conditions which allowed the “Arab Spring movements” to develop. Mr. Taheri’s first group consists of those are countries that have toppled their despots and are on the way to democratization: most importantly Iraq. It seems that the US will not declare the obvious: we won the Iraq War. We have unseated a despotic regime, subdued a rabid insurgency, and established the most democratic government that the Arab world has ever known. The Left here and abroad is silent in the face of these achievements. The Left declared constantly that these results were impossible, they are wrong. Please just recall the comments of members of the current Administration and the Democratic Party leadership in Congress during the long struggle. I wonder just how much respect the current democratically elected leaders of Iraq have for anyone in this Administration, all of whom were working so hard against the successful conclusion of the Iraq War. Mr. Taheri’s third group consists of rejectionist despotic regimes. In Libya the Obama Administration is half-heartily encouraging the rebels. It is bizarre to watch the chokingly constrained military support that the Obama Administration provides the rebels. Indeed the rebels were nearly crushed until the slight loosing of constraints on military intervention. It is extremely ironic to have the Euro-poodles (with their hollowed out militaries) sounding more bellicose than the US. Meanwhile, in Syria the thugocracy of Assad family has murdered well over 1,000 of its own civilians with no end in sight. The Obama Administration’s Syrian engagement policy seems to be an unmitigated failure as well as morally bankrupt. Mr. Taheri’s fourth group consists of near-failed states. Sudan is finally ending its civil war of more than 30 years with devolution into a Muslim northern rump state and a non-Muslim southern rump state. Eritrea is struggling to hold itself together since breaking away from Ethiopia. Mauritania struggles with a corrupt and ineffective government with a largely uneducated poor population. The only thing supporting these countries appears to be the resource demands of the Chinese government, which has no interest in democracy but an increasing appetite for natural resources. To expect more than naked self-interest from the Chinese government, a self-perpetuating, unaccountable, communist gerontocracy, is folly. The overthrow of Saddam’s government and victory in the Iraq War have finally unstuck the despotic ossification of the Arab world. 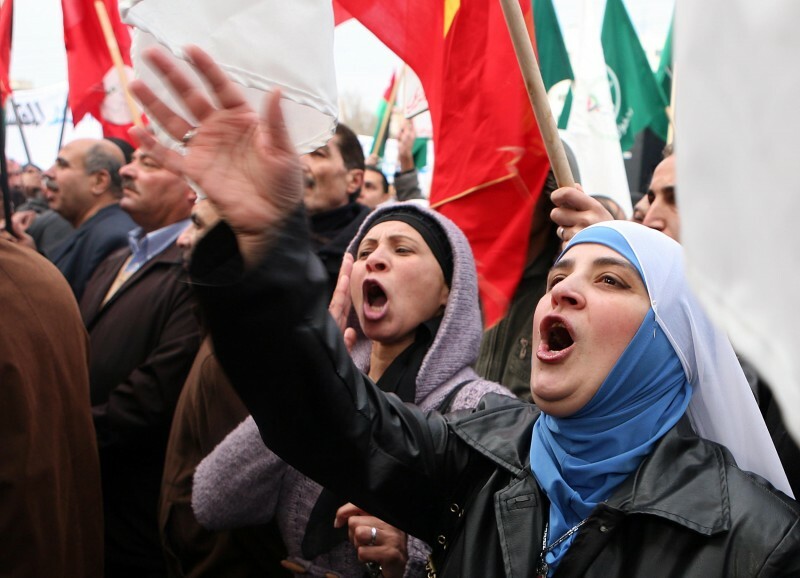 The ripple effects of these developments have allowed the Arab Spring movements to flower. The people in the Arab world look to the democratically elected government of Iraq as a model of a much more democratic future. A democratic Iraq is something that never would have existed had the Democrats, who run the current Administration, achieved their preferred outcome during the Iraq War. President Obama’s Cairo speech was delivered some two years ago. Words, Mr. President, did not cause the Arab Spring. Facts on the ground were the midwife of these movements. So I close with this thought: The Arab Spring movement owes more to George Bush and the successful conclusion of the Iraq War than to the words and half-hearted actions of the Obama Administration. Kevin Frei is a history teacher in Houston, Texas. He reads lots of history, politics, and sci-fi and fantasy. He is a Christian and a conservative who is more than happy to share his outlook on the state of our world. He is married and has one daughter. He can be contacted at kfrei@houstonisd.org. Seth, I have to agree that it’s difficult to give the Obama Administration a lot of credit for what’s happened in the Middle East of late. What with all the stopping, starting, and flip-flopping on policy, it’s hard to see how even they can try to take much credit with a straight face. However, I’m not ready to give the Bush folks that much credit, either. Bush’s messianic zeal resulted in the Iraq war, which probably wasn’t necessary and went on way too long because of planning failures and general bumbling, and the Afghanistan war, which was right in the beginning but was then allowed to morph into an extended quixotic exercise that isn’t going to end well. History will be the final judge, but I don’t think it’s going to be completely positive.